We search for Riemannian metrics whose Levi-Civita connection belongs to a given projective class. 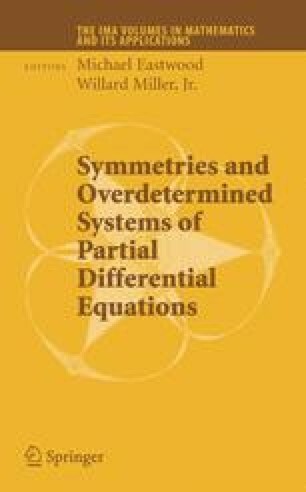 Following Sinjukov and Mikeš, we show that such metrics correspond precisely to suitably positive solutions of a certain projectively invariant finite-type linear system of partial differential equations. Prolonging this system, we may reformulate these equations as defining covariant constant sections of a certain vector bundle with connection. This vector bundle and its connection are derived from the Cartan connection of the underlying projective structure. This work was undertaken during the 2006 Summer Program at the Institute for Mathematics and its Applications at the University of Minnesota. The authors would like to thank the IMA for hospitality during this time. The first author is supported by the Australian Research Council.